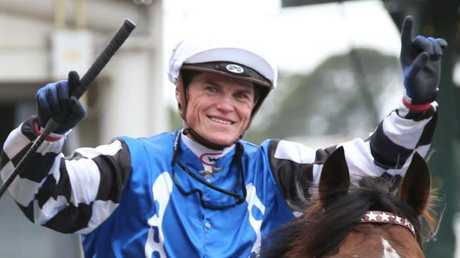 THE persuasive nature of Craig Williams will see Futurity Stakes winner Brave Smash attempt a rare double when he tackles the Newmarket Handicap at Flemington on Saturday. Only six horses have achieved the Futurity-Newmarket double with the most recent one of the greats of the Australian turf, Bernborough, in 1946. Before Bernborough another horse whose name is part of Australian racing folklore, Ajax, landed the 1400m-1200m double in 1938. 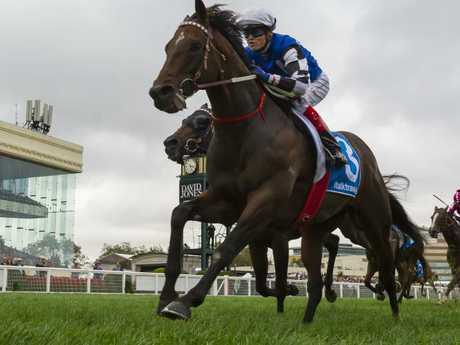 Australian Bloodstock manager Jamie Lovett said the Newmarket was always an option for Japanese export Brave Smash but Williams convinced the team of the wisdom of dropping back from the 1400m of the Futurity Stakes to tackle the 1200m of the Newmarket. "Craig was just so bullish about Brave Smash in the Newmarket so we've gone down that path. He really encouraged us to do it," Lovett said. "Also there's a long-held belief that the Newmarket is a race for 1400m horses." Lovett said Brave Smash's 1200m form had been sound in Australia, including a third in The Everest behind Redzel last spring. After Saturday, Brave Smash could be set for the TJ Smith Stakes (1200m) at Randwick or he could even take on Winx in the George Ryder Stakes (1500m) at Rosehill on March 24. Lovett said the camp was already chasing a slot for Brave Smash in The Everest. Darren Weir's stableforeman Jarrod McLean said Brave Smash galloped with the stable's other Newmarket Handicap entrant Ken's Dream at Colac on Tuesday. 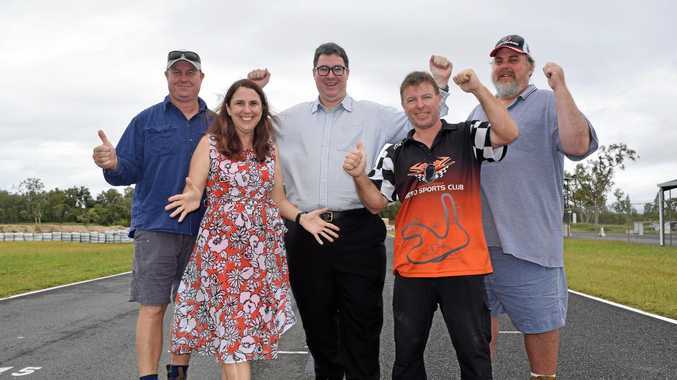 "We took 41 horses there and Brave Smash and Ken's Dream galloped the best of our horses," he said. 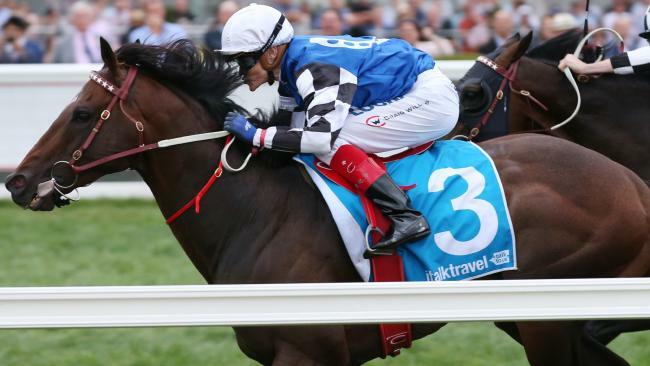 Brave Smash is $7.50 and Ken's Dream $21 with Ladbrokes for the Newmarket with Merchant Navy the $5 favourite. Australian Bloodstock is also sending another two well-performed Japanese gallopers to Weir's stables, Ittetsu and Dammo Liberty. Ittetsu arrived in Sydney on Tuesday and Lovett said his aim would be the TJ Smith Stakes. "He's a Group 3 placegetter in Japan, we'll set him for T.J Smith Stakes and the All Aged Stakes," Lovett said. McLean said Gailo Chop, who is $2.80 favourite with Ladbrokes for the Australian Cup, was in good condition and did fast work at Warrnambool on Tuesday morning. Galio Chop has drawn barrier 10 for the race and the stayer's biggest hurdle could be 2016 Melbourne Cup winner Almandin who is one of three Lloyd Williams runners in the race.